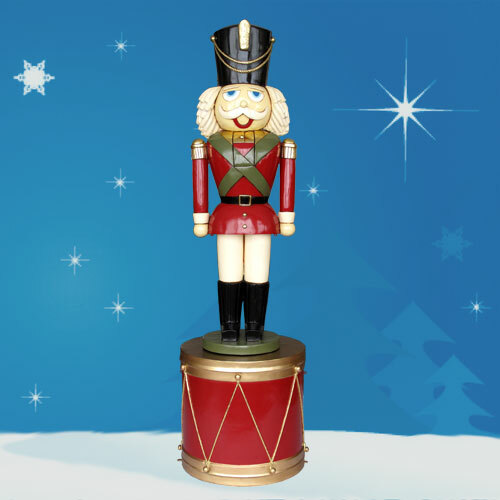 Made for quality and character by Heinimex, the 8.5-foot Giant Nutcracker On Display Drum is sure to make a splash as the focal point of your indoor or outdoor commercial or residential holiday display. 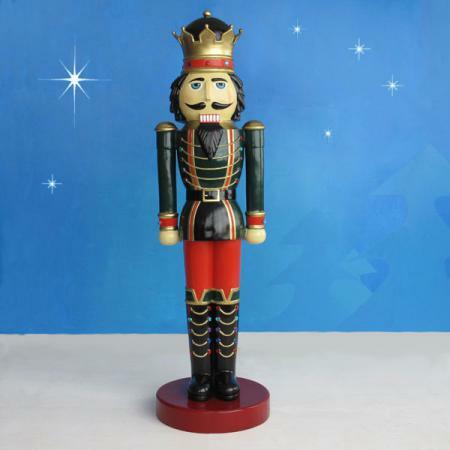 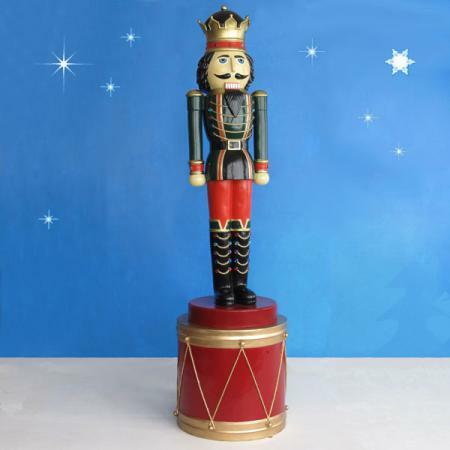 Constructed from durable, chip-resistant fiberglass, this large-scale nutcracker features cheerful embellishments and tasteful finishing touches that make it appropriate for homeowners, businesses, municipalities and more. 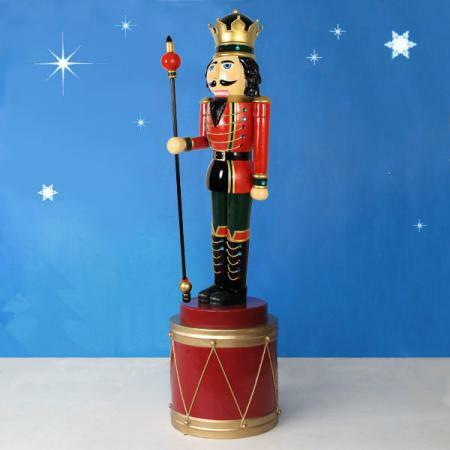 The figure comes with eye hooks under the nutcracker's lower jacket and at the sides and bottom of the drum for easy attachment of guy wires and/or ground stakes. 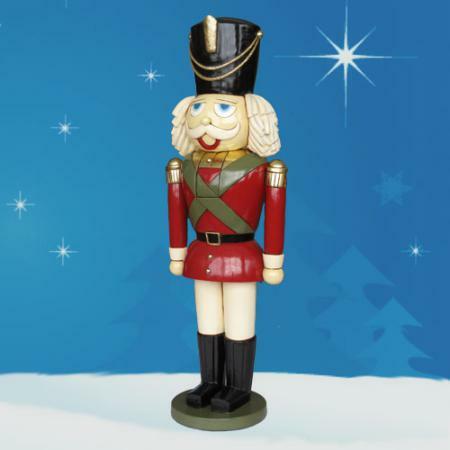 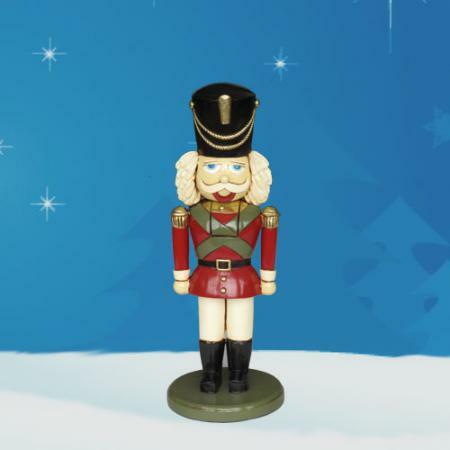 Nutcracker dimensions: H 72in. 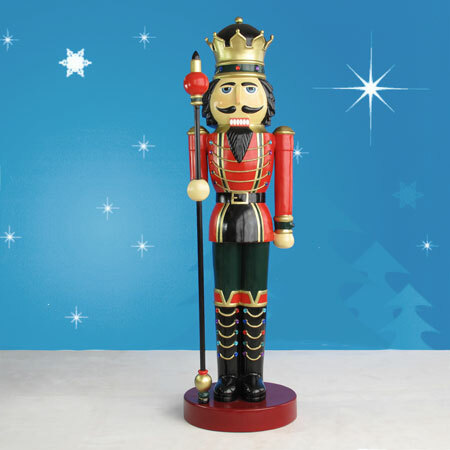 W 26in. 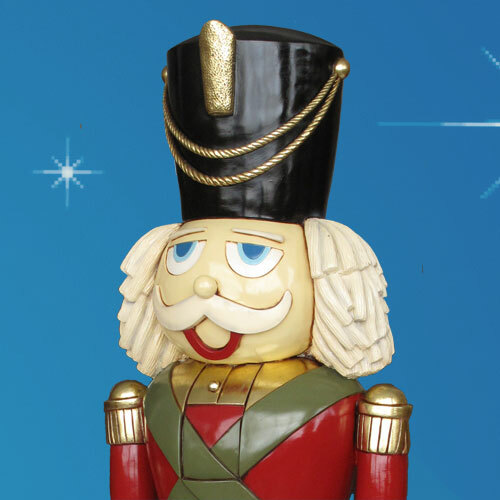 D 22in. 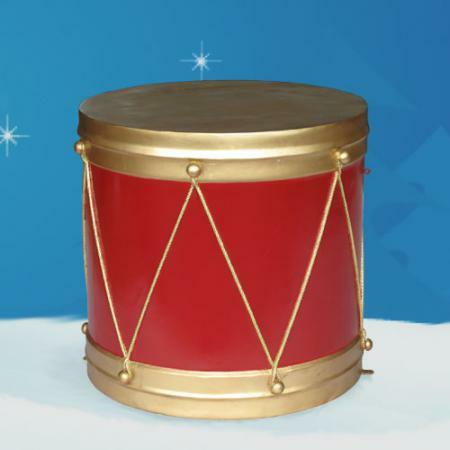 Drum dimensions: H 28in. 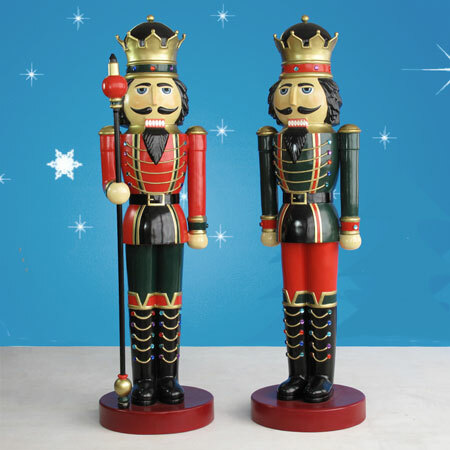 W 28in. 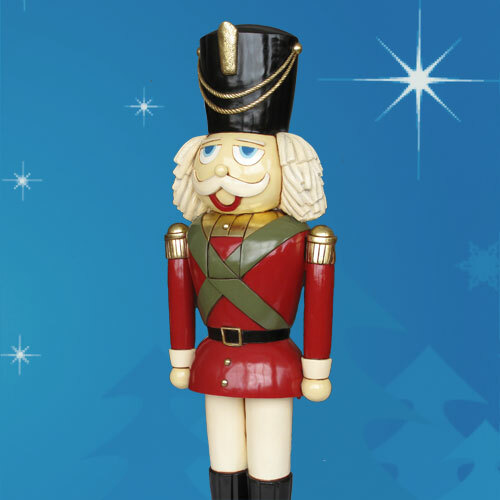 D 28in.